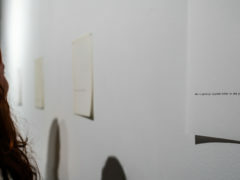 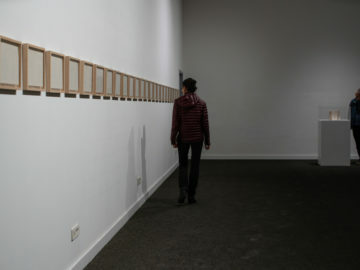 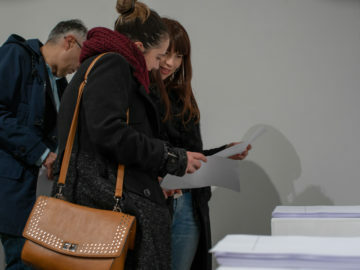 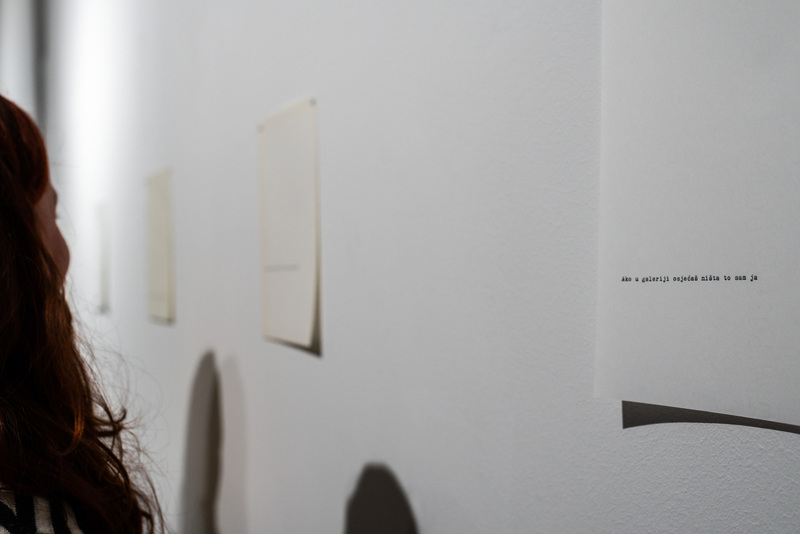 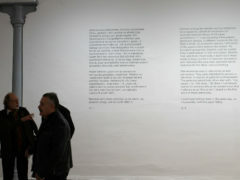 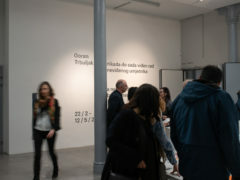 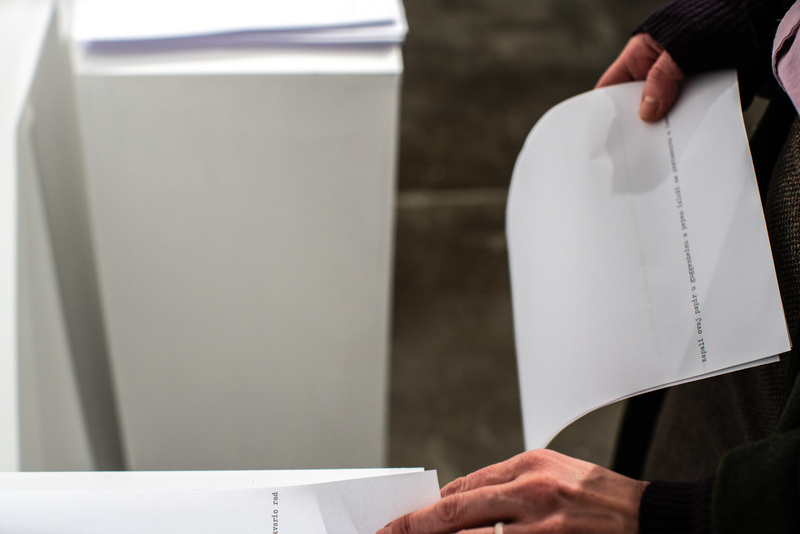 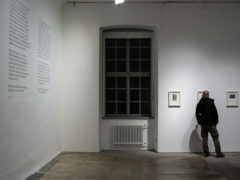 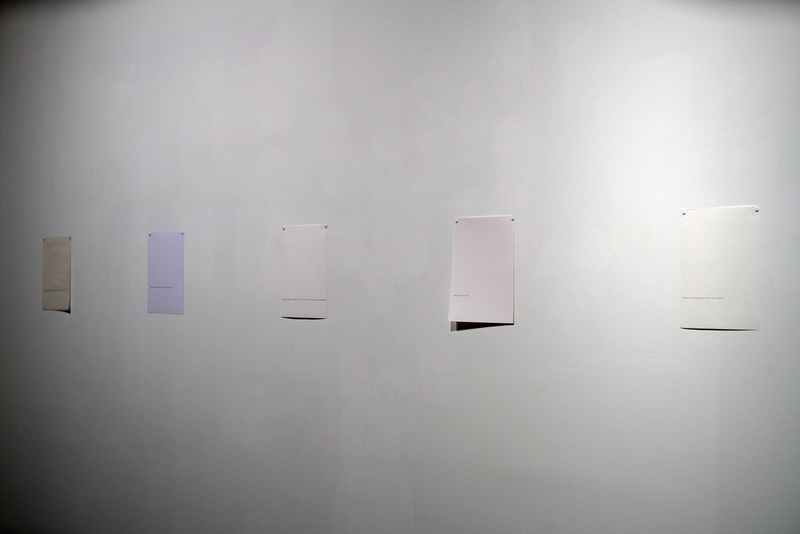 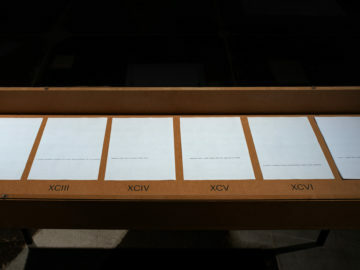 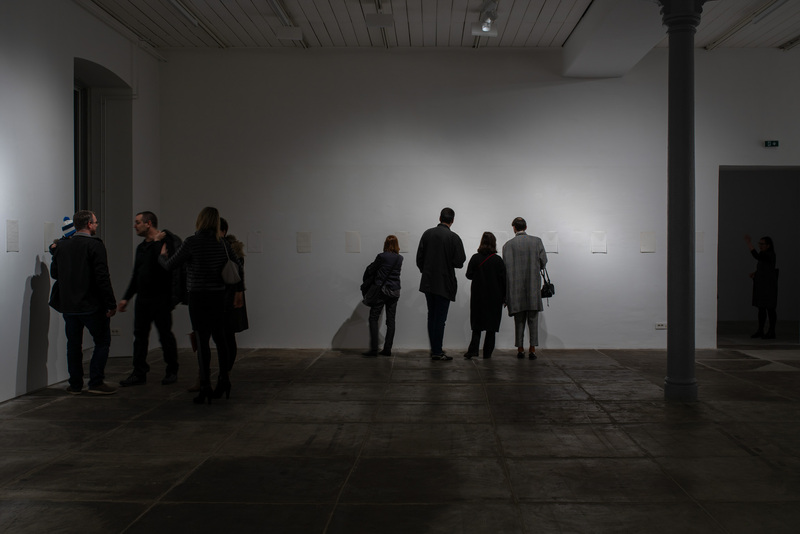 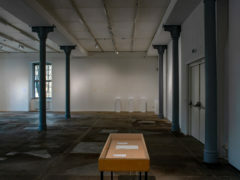 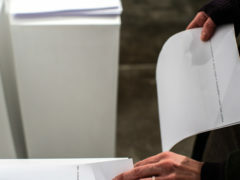 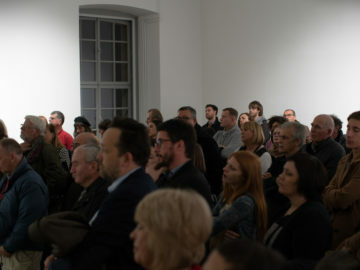 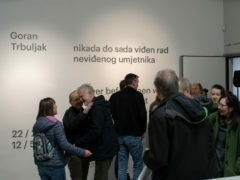 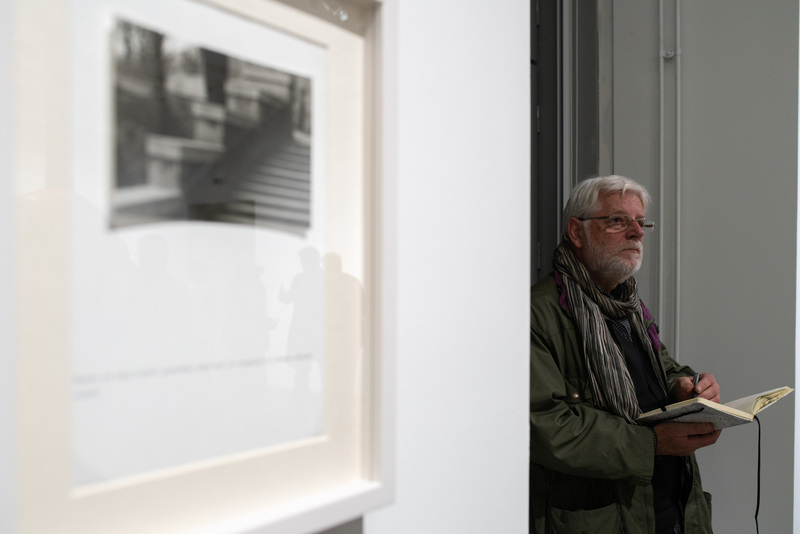 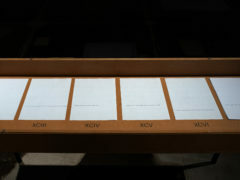 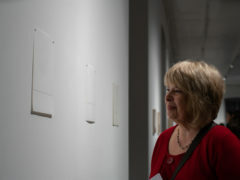 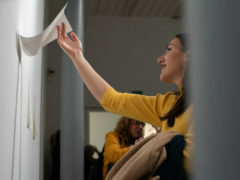 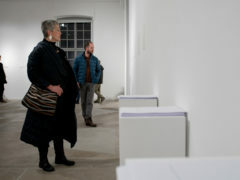 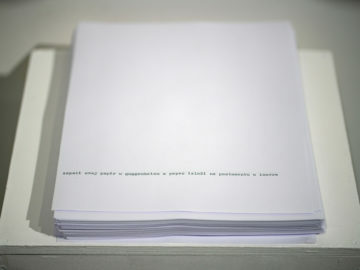 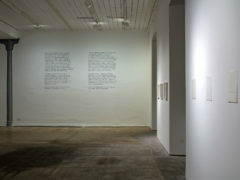 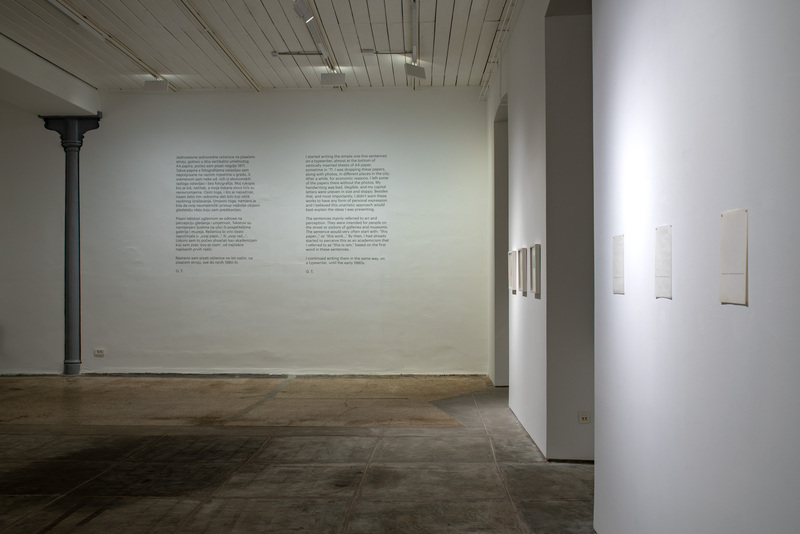 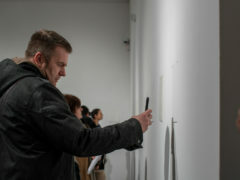 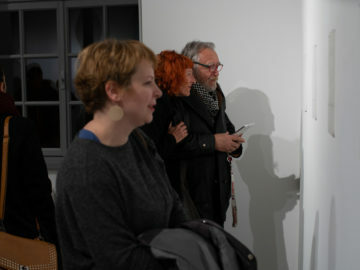 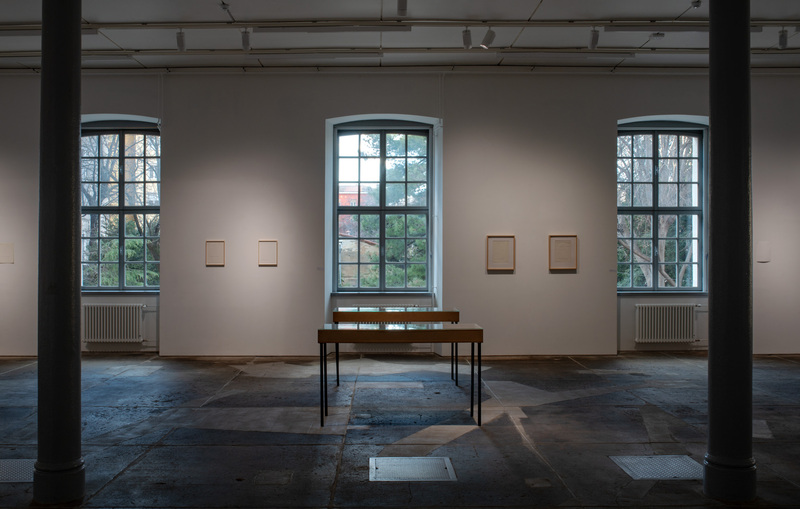 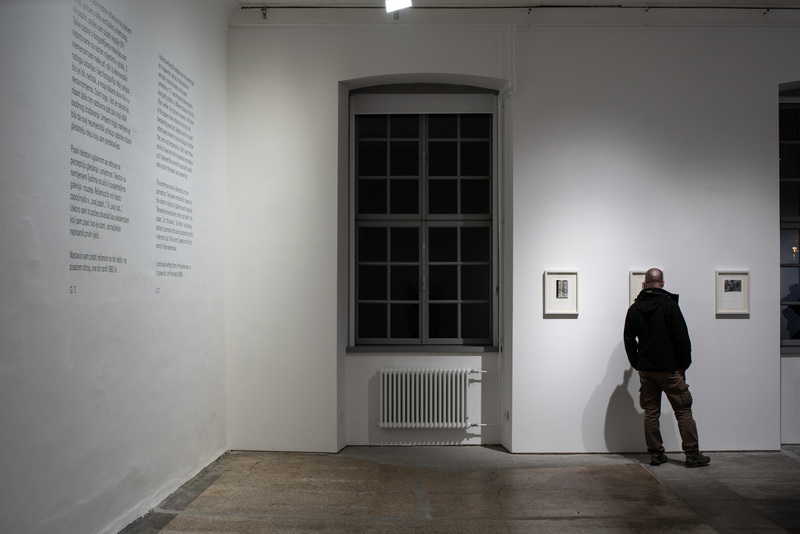 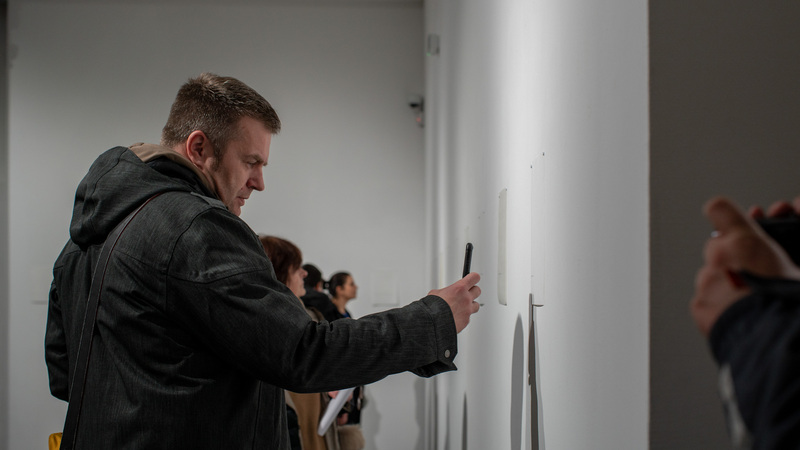 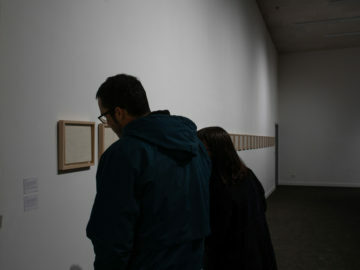 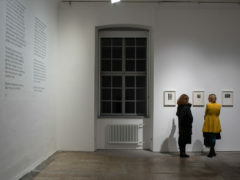 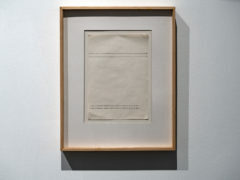 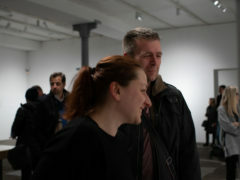 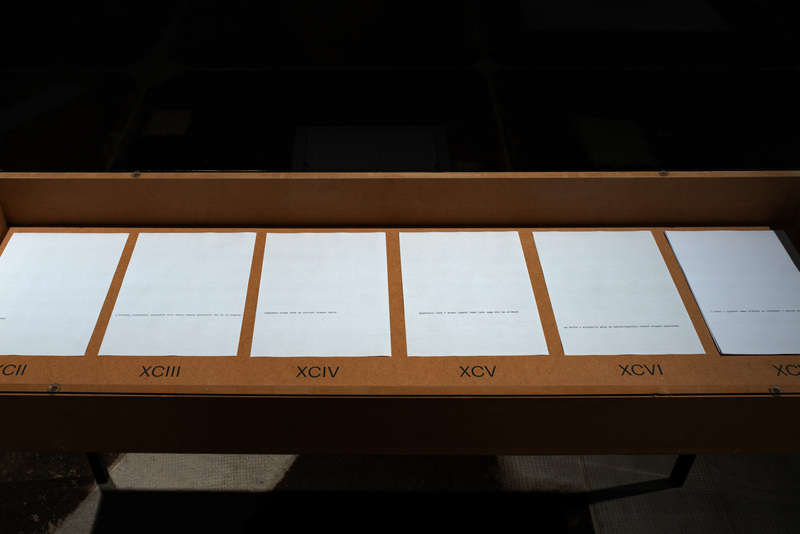 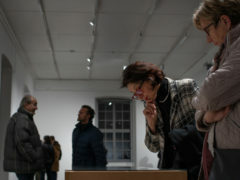 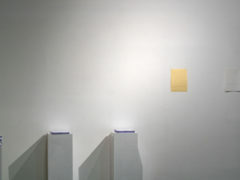 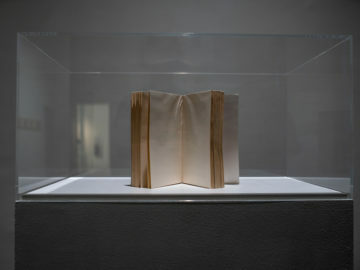 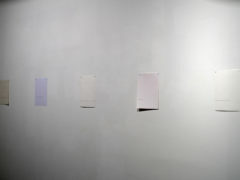 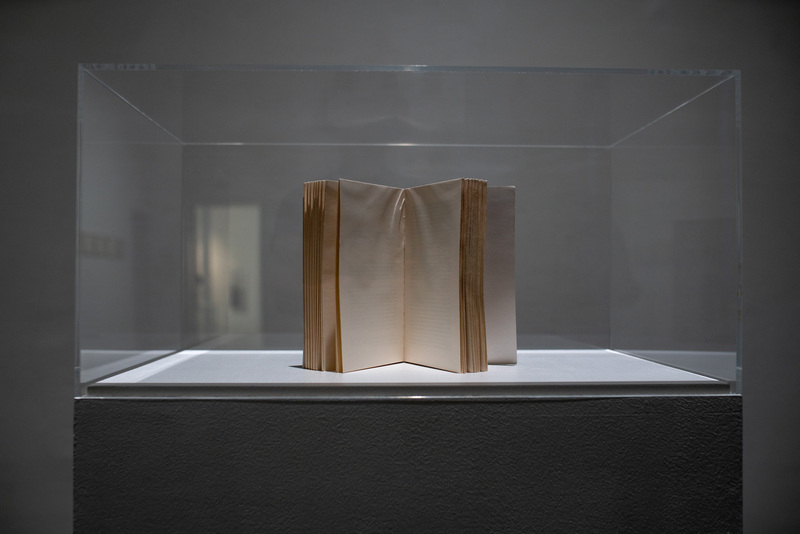 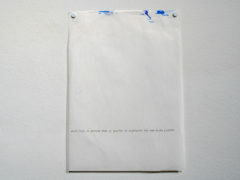 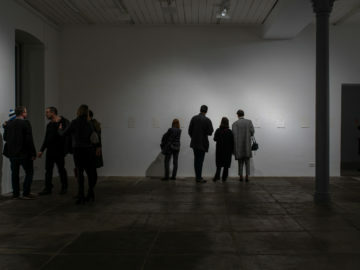 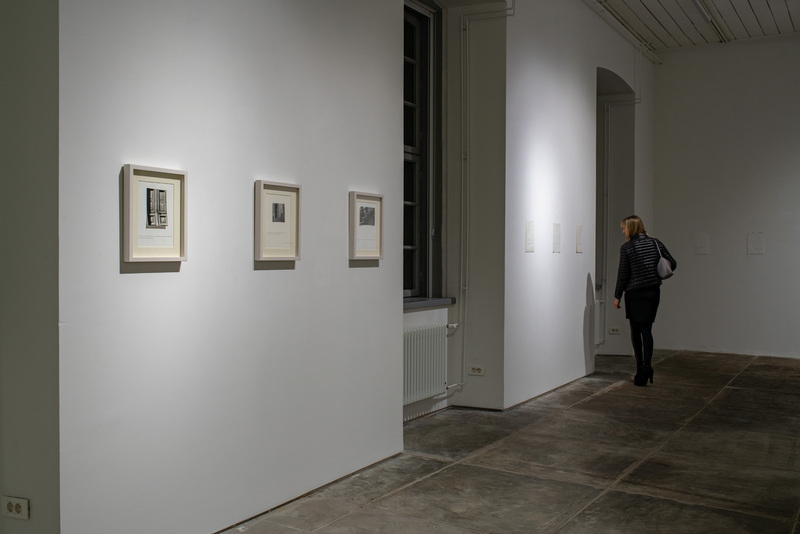 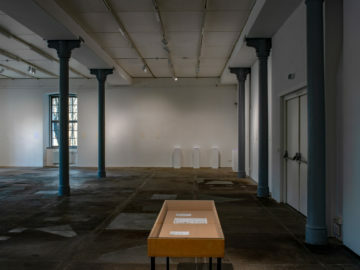 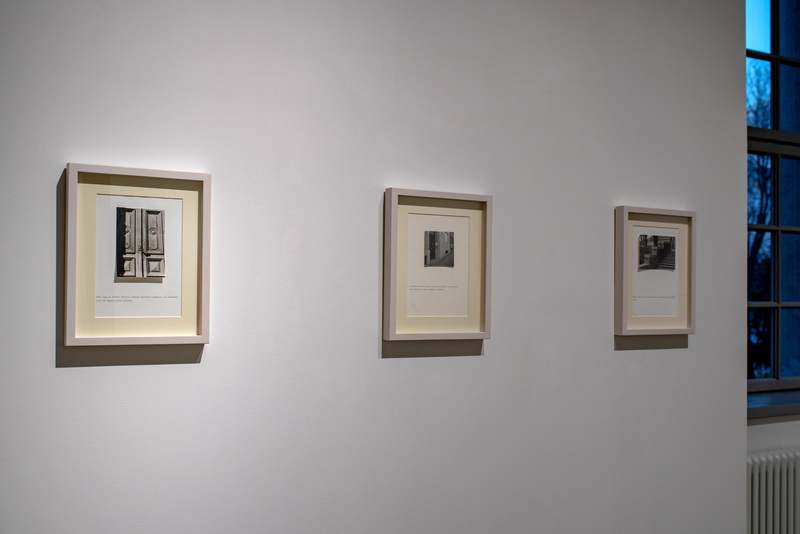 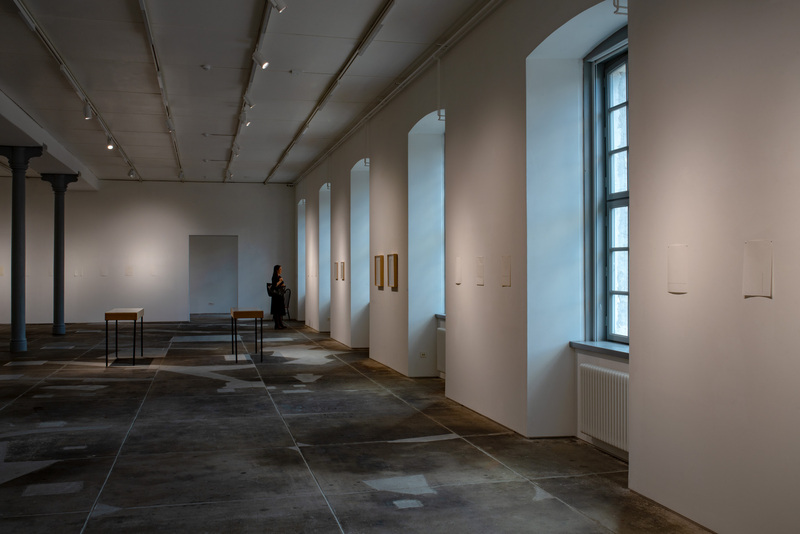 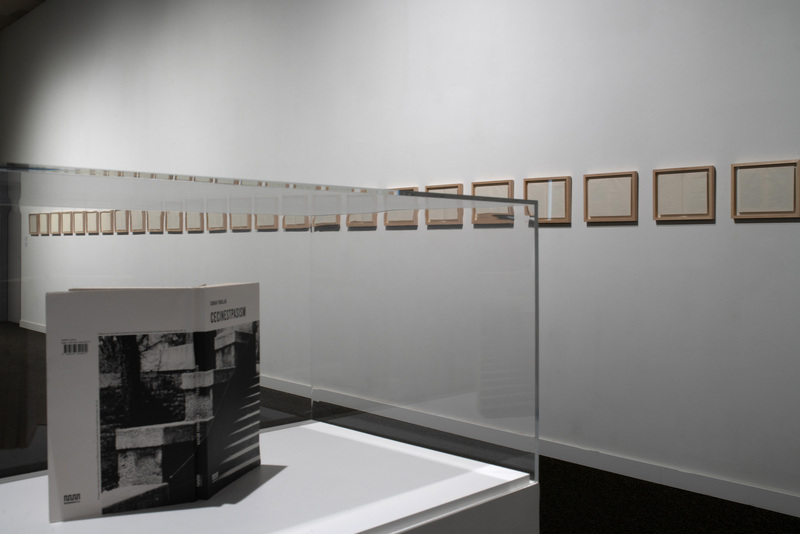 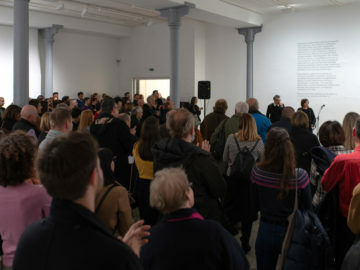 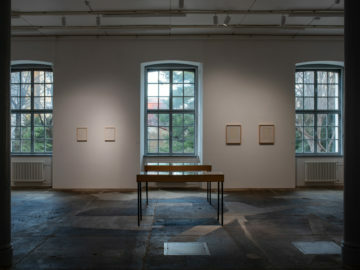 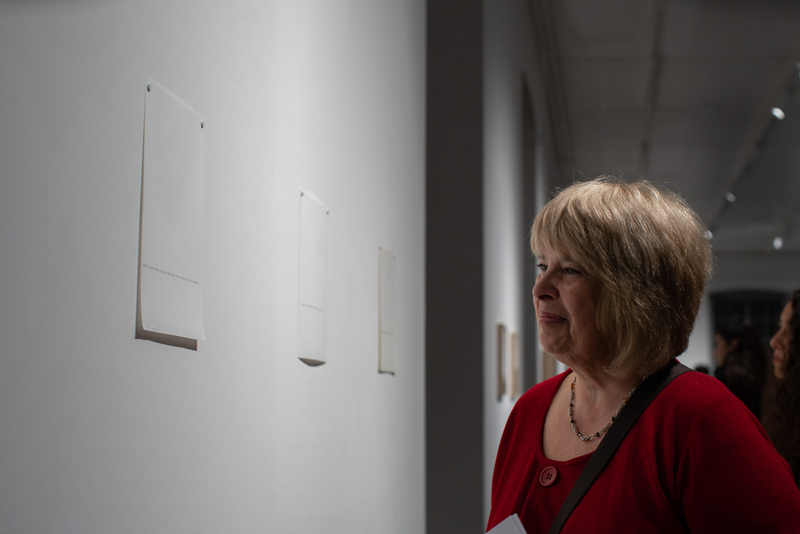 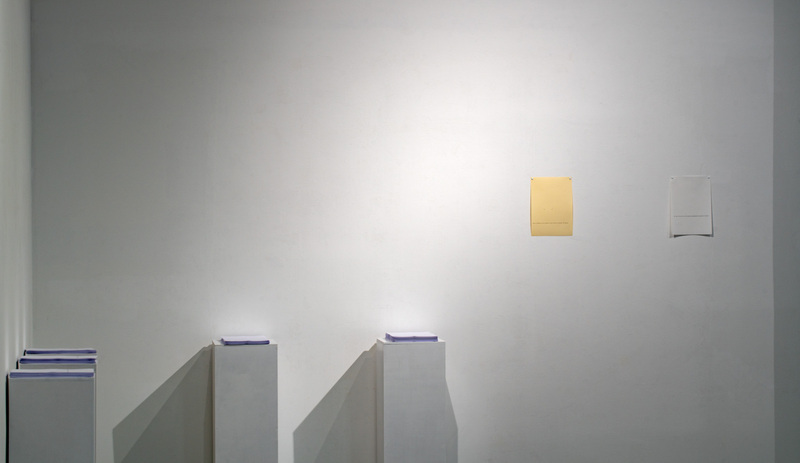 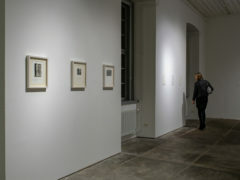 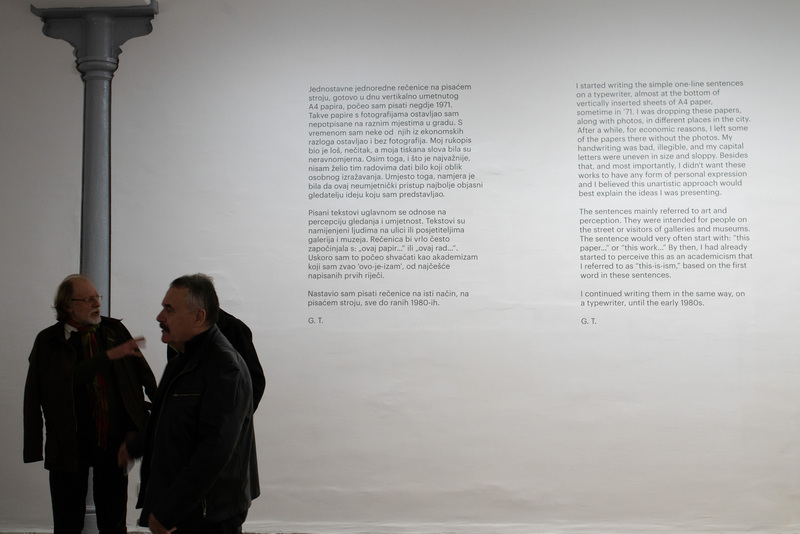 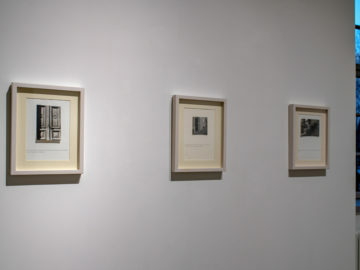 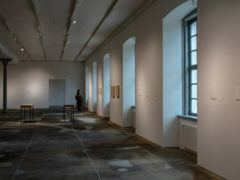 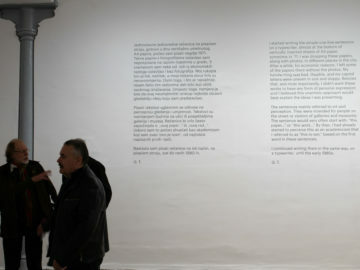 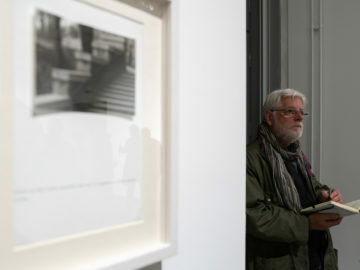 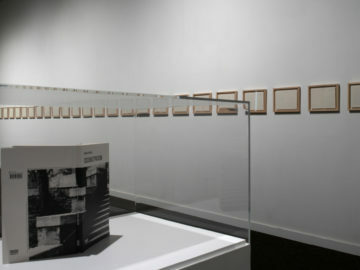 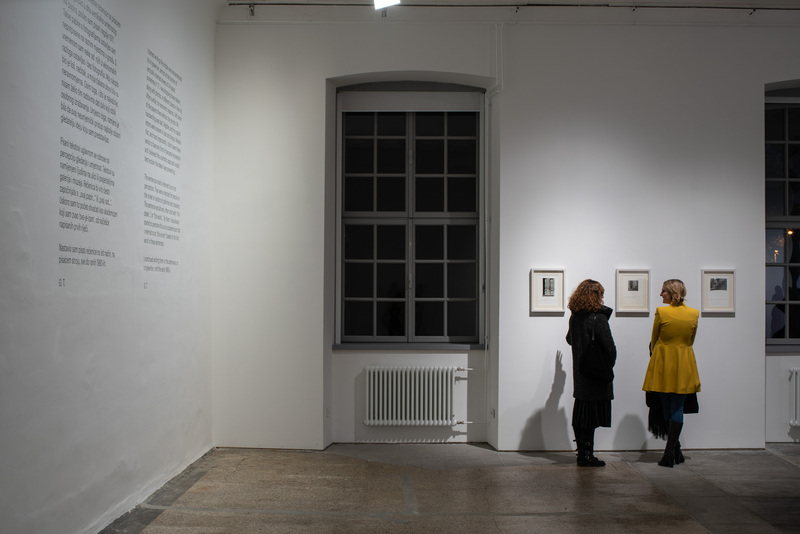 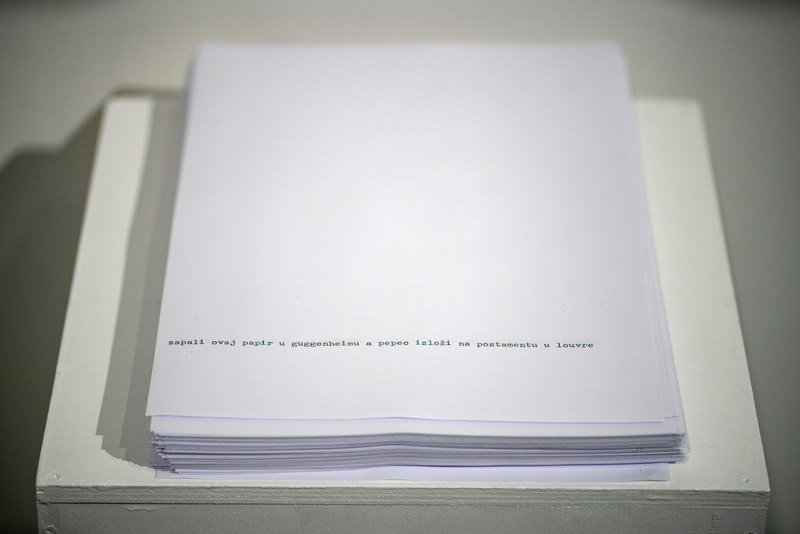 The exhibition that bears the title of one of the Trbuljak’s works, a never before seen work by an unseen artist, presents the artist through works on paper – in one-line sentences that often function as aphorisms – and it is accompanied with talks, a book promotion, a film program and workshops. 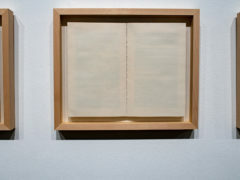 a never before seen work by an unseen artist will not follow the chronology of the artist’s practice; instead, it will attempt to define the main elements of Trbuljak’s art, focusing on two aspects of his work: the use of language, which includes investigation of the used medium and the method of artistic exploration, and the evolution of his art concepts and contents. 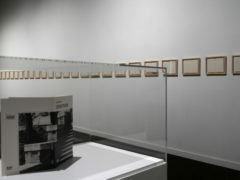 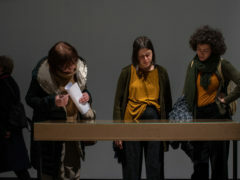 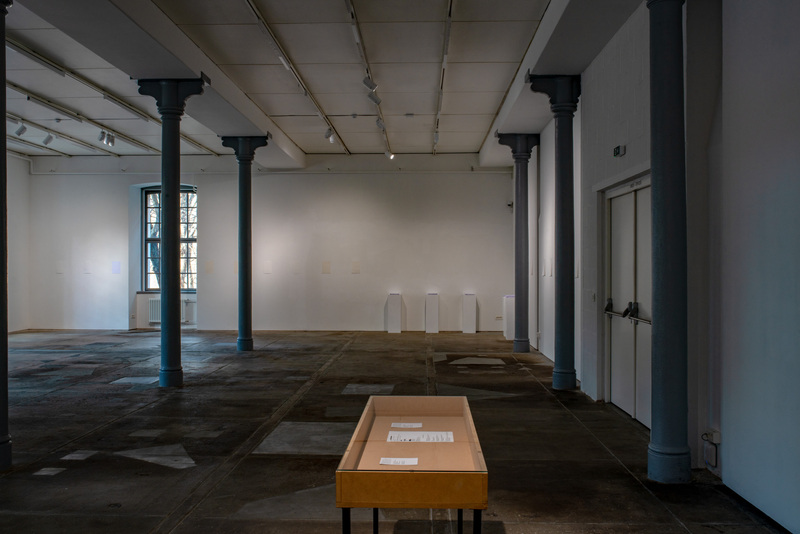 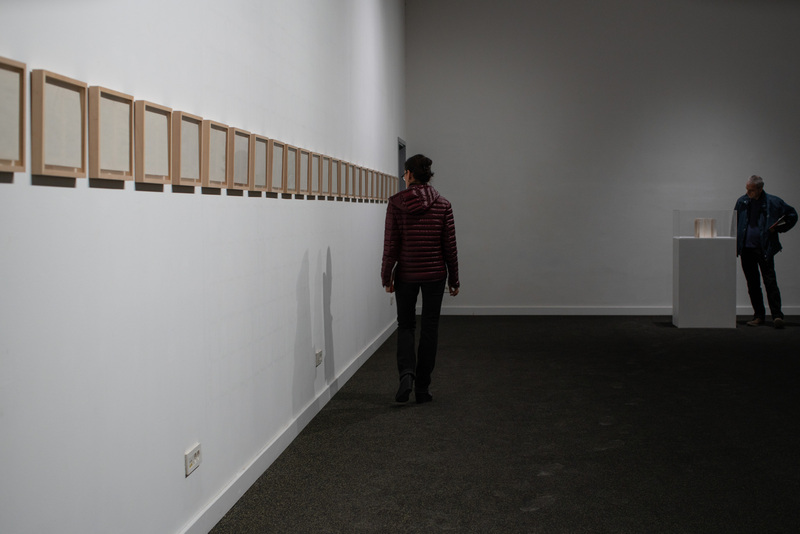 A special attention will be devoted to his works Thisism (1970 – 1981), which so far haven’t been exhibited as a whole, but which indirectly disclose his contextual art practice. 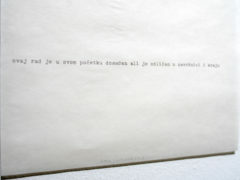 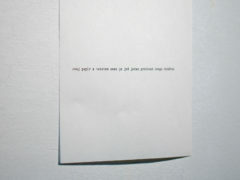 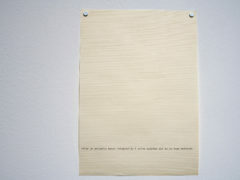 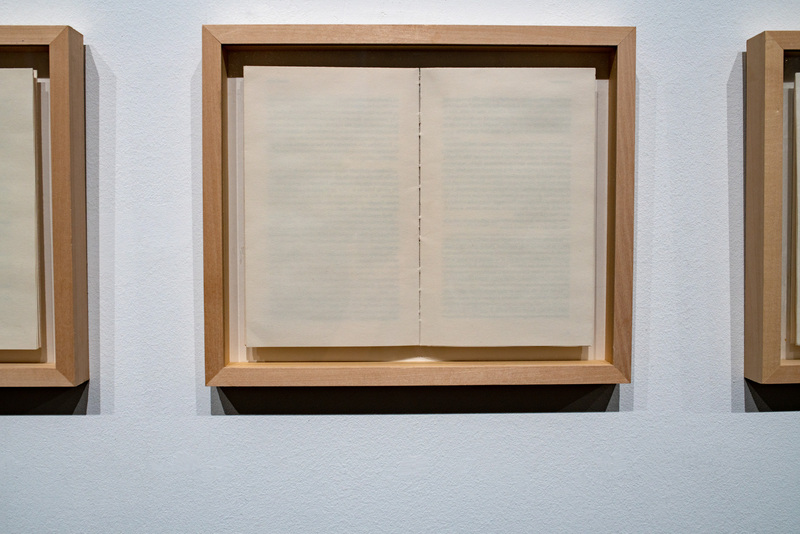 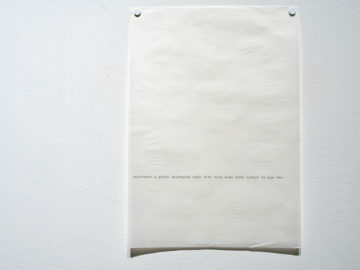 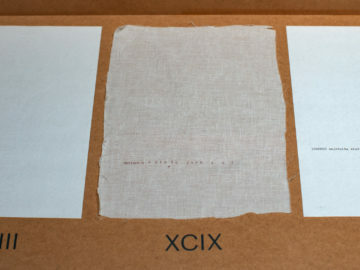 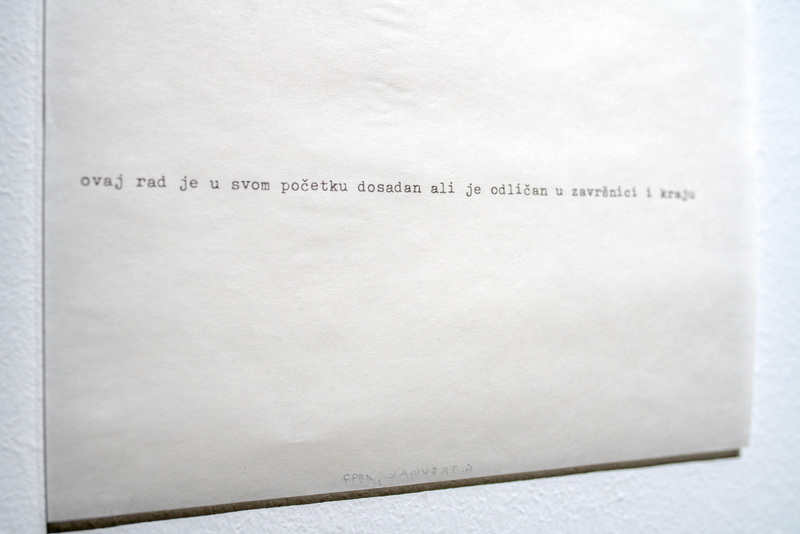 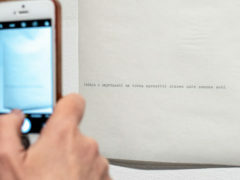 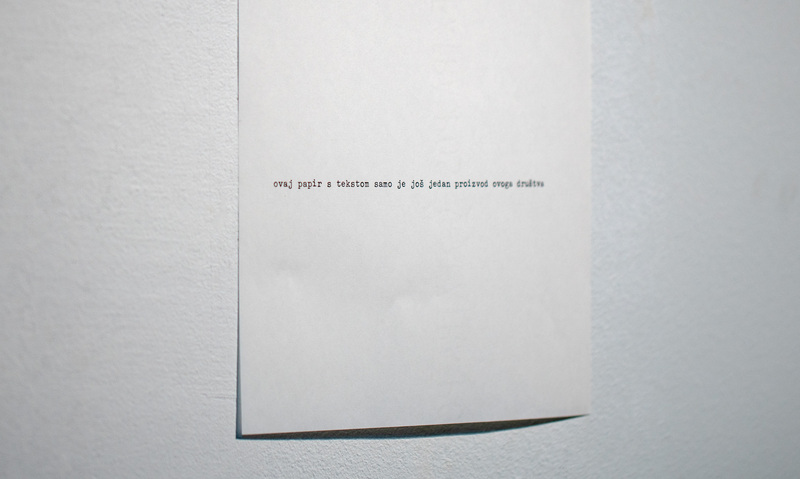 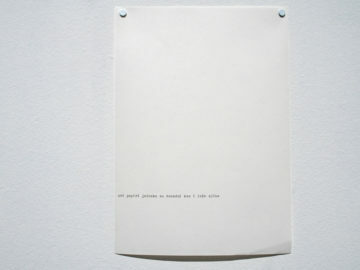 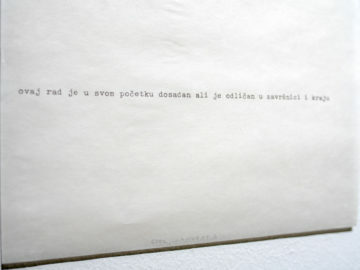 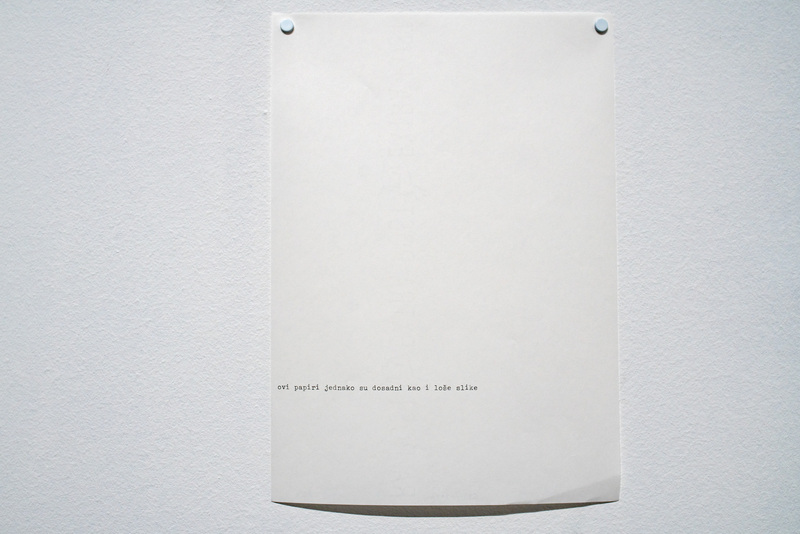 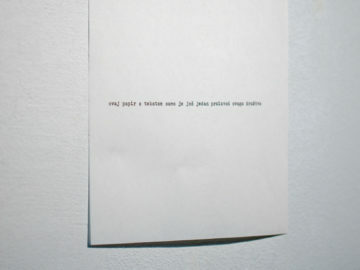 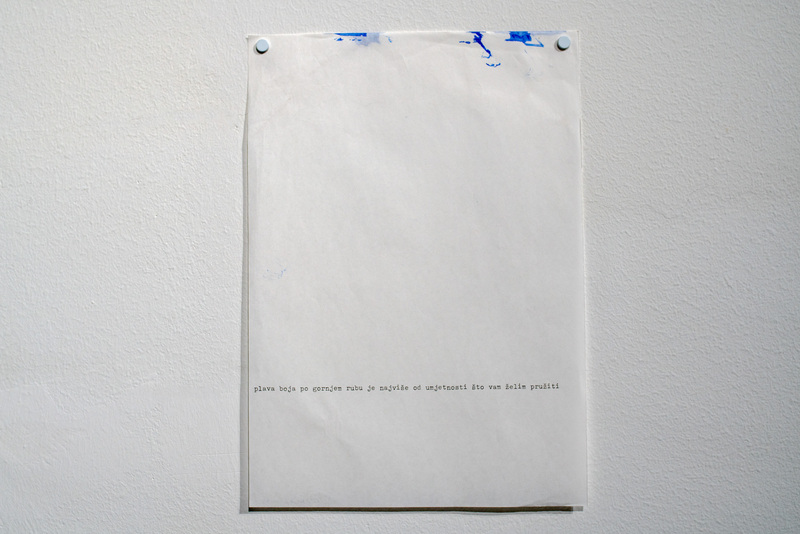 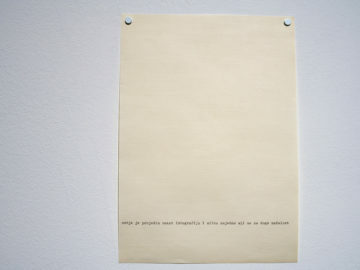 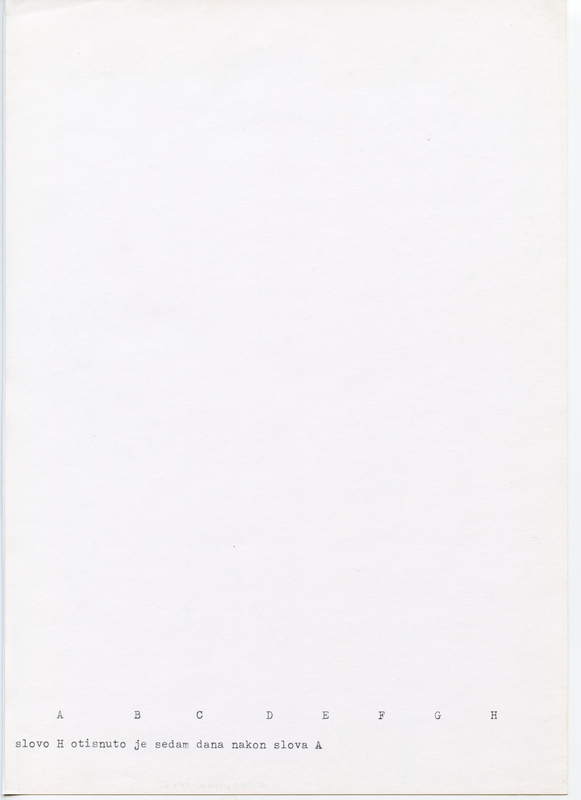 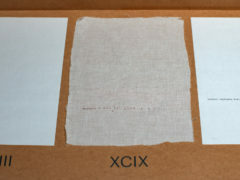 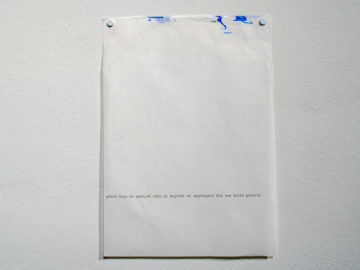 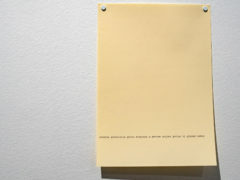 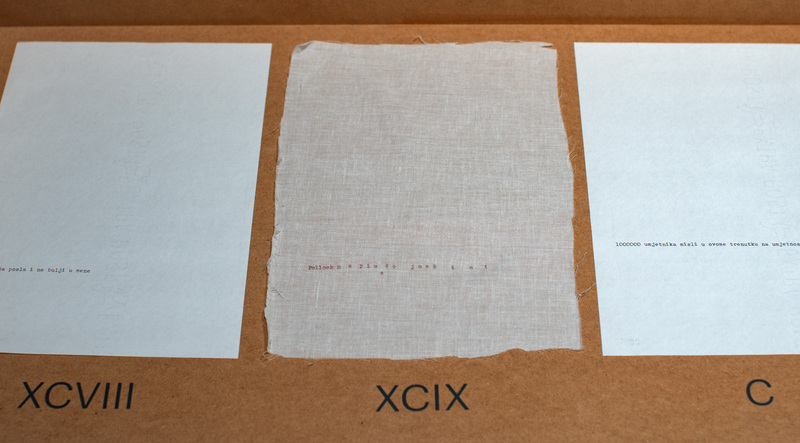 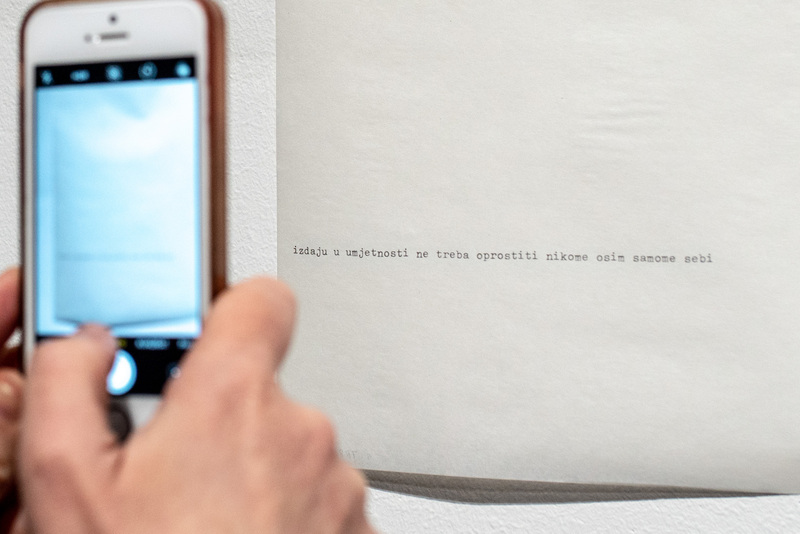 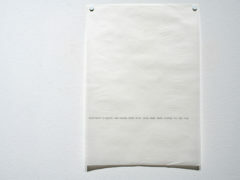 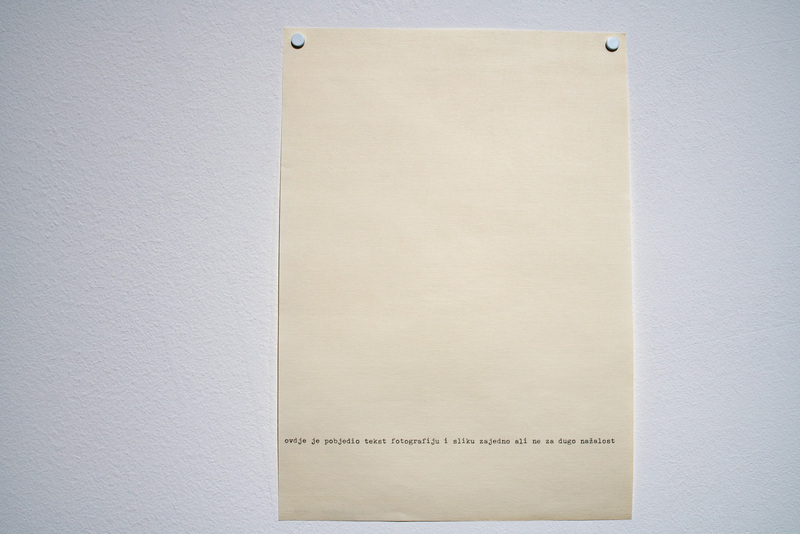 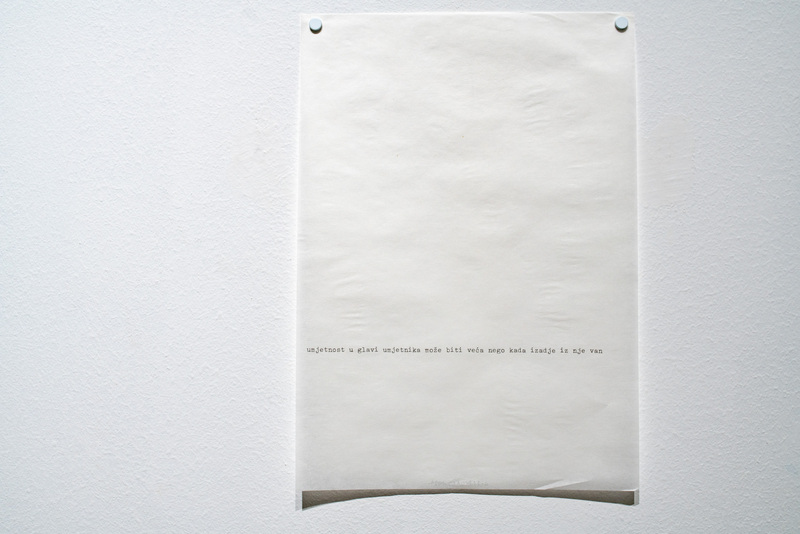 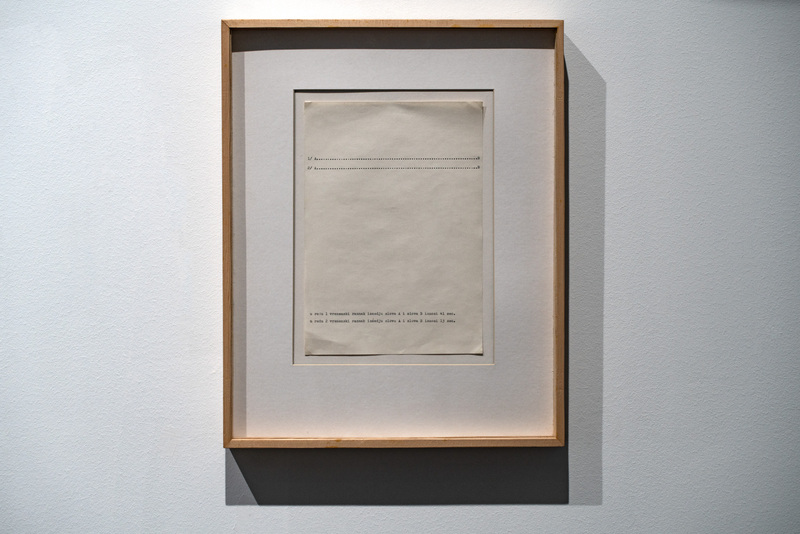 Trbuljak began writing these simple sentences, consisting of only one line and typed on a typewriter in the bottom a vertically placed A4 sheet of paper, in 1971. At first, they served as captions that described, in the simplest and most impersonal way, Trbuljak’s photographs which were the artist’s first medium of expression (he earned his high school diploma from the Photography Department of the Zagreb High School of Applied Arts and graduated from the Zagreb Academy of Fine Arts, Department of Graphic Arts). 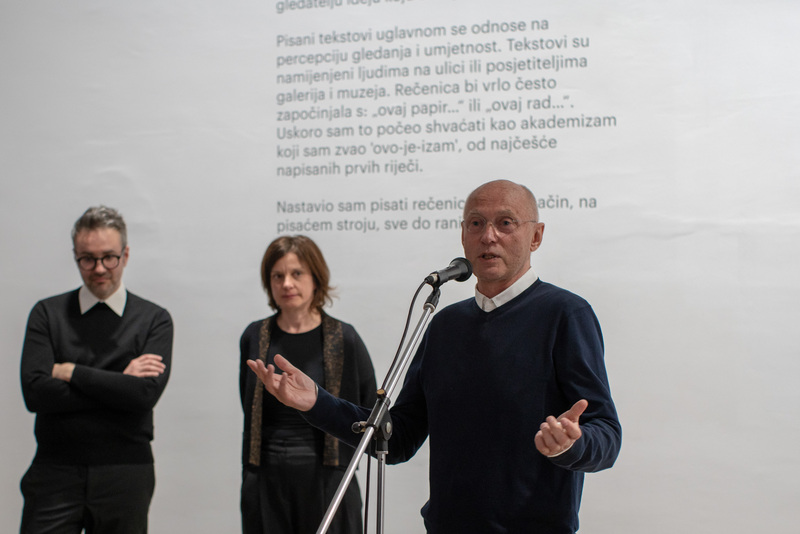 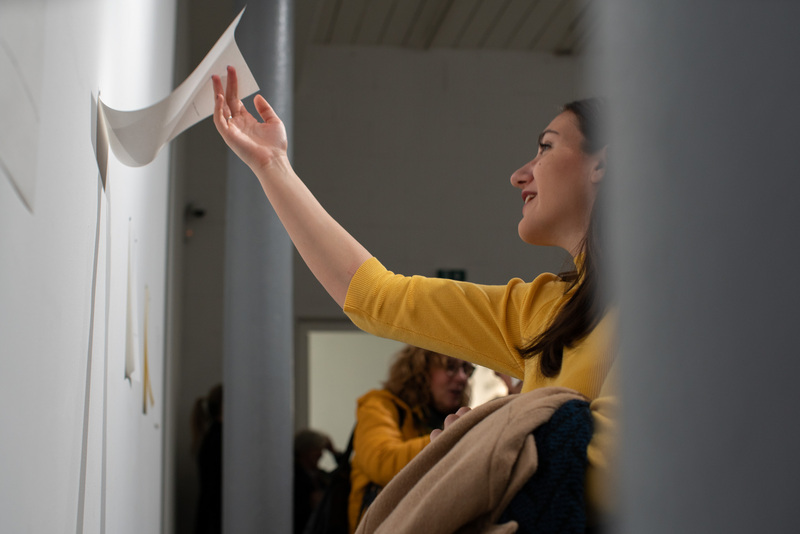 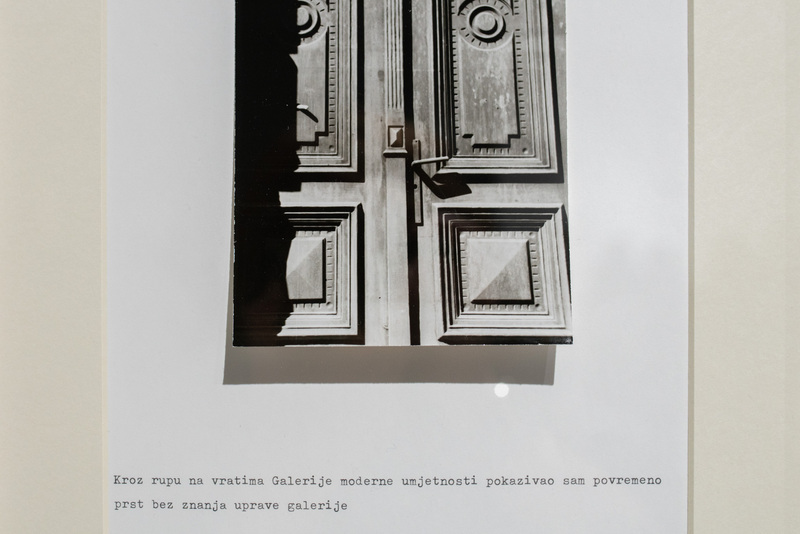 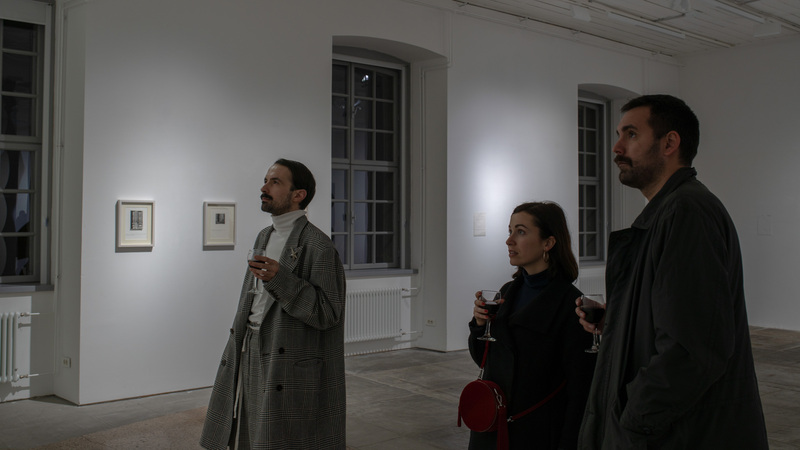 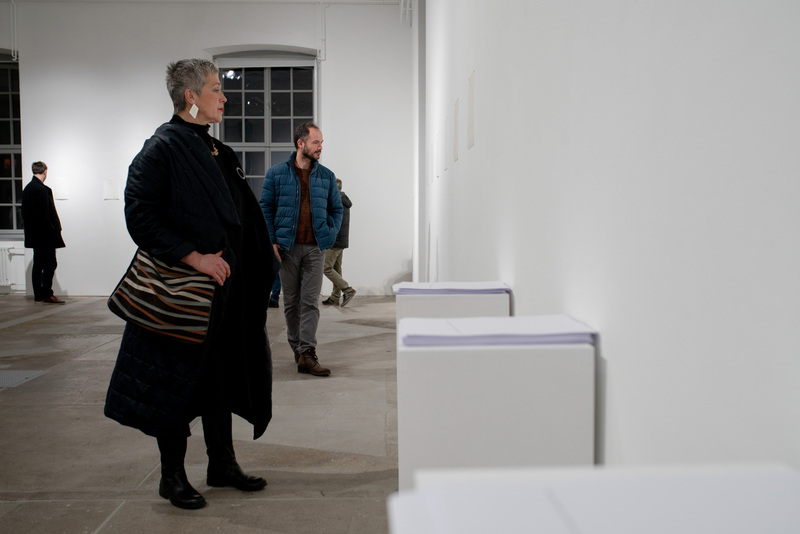 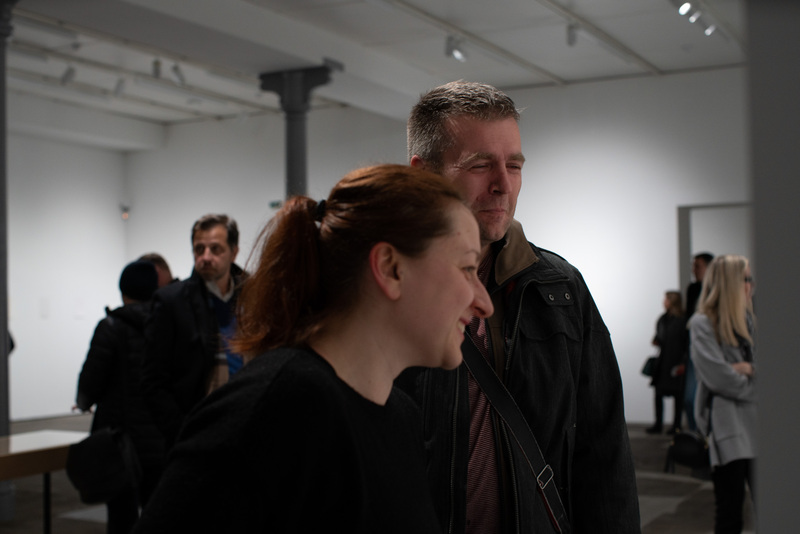 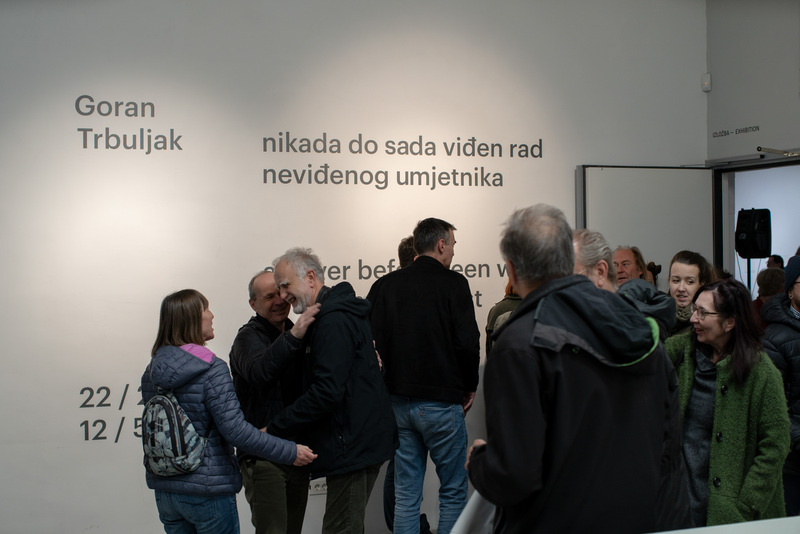 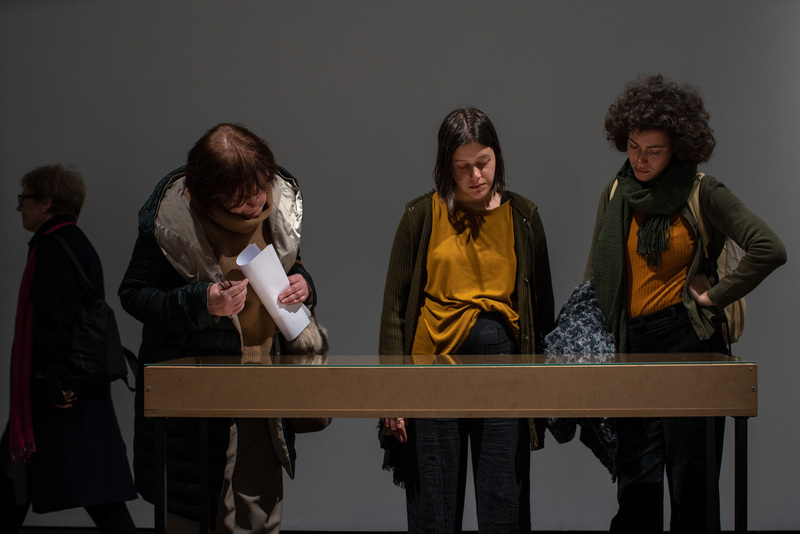 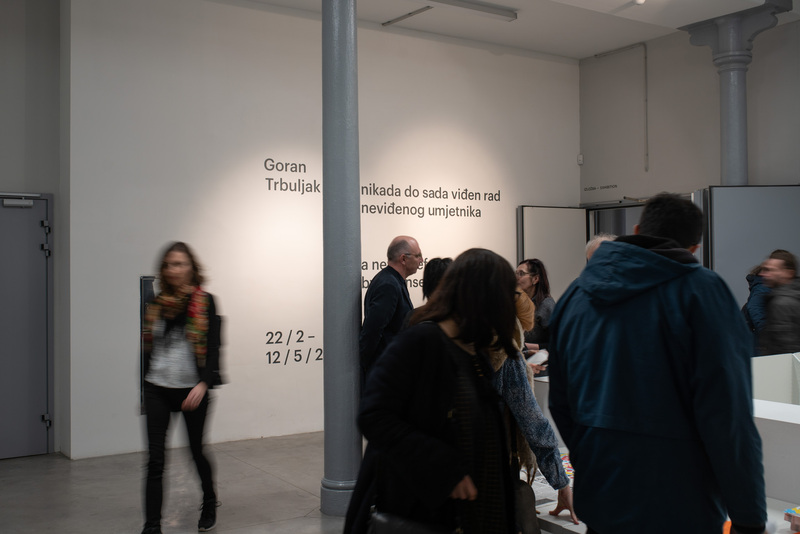 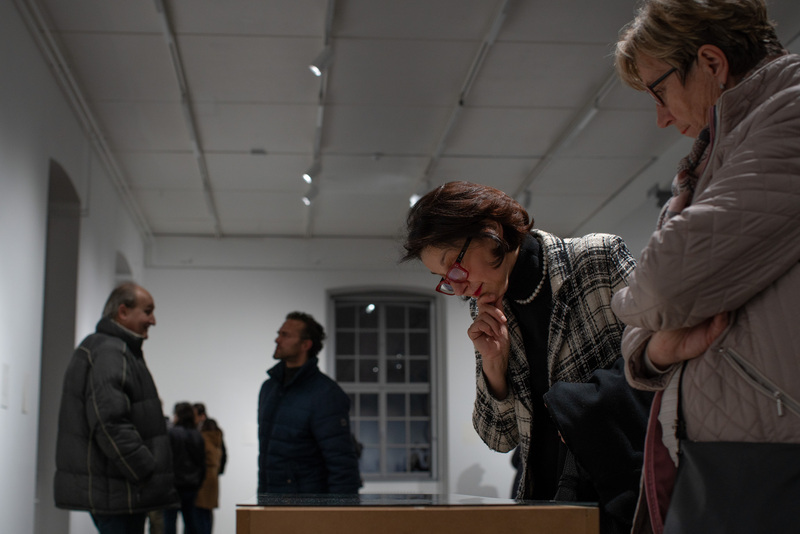 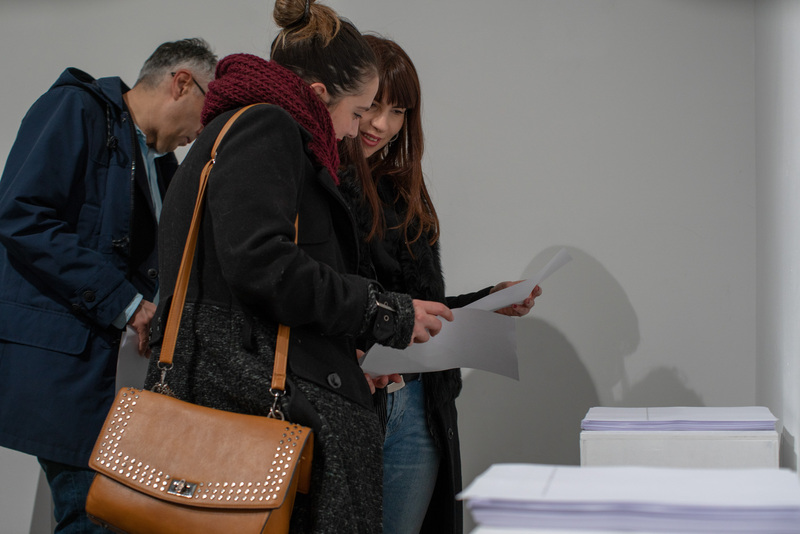 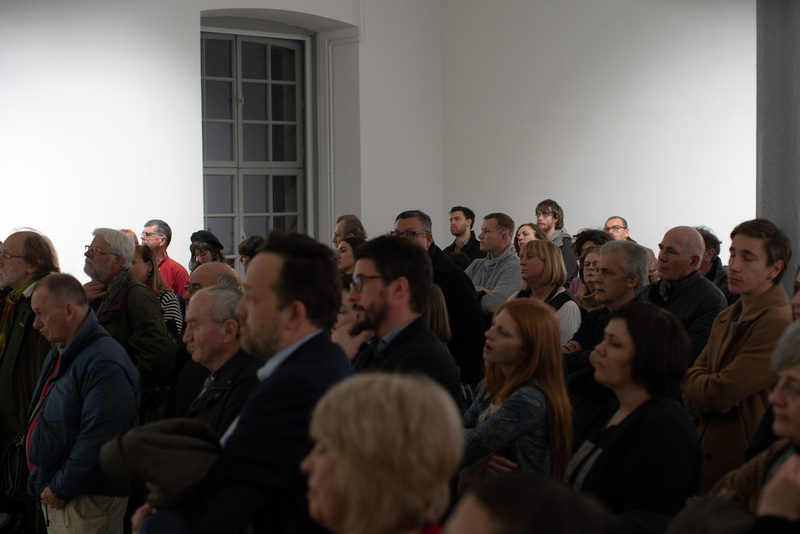 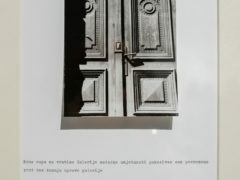 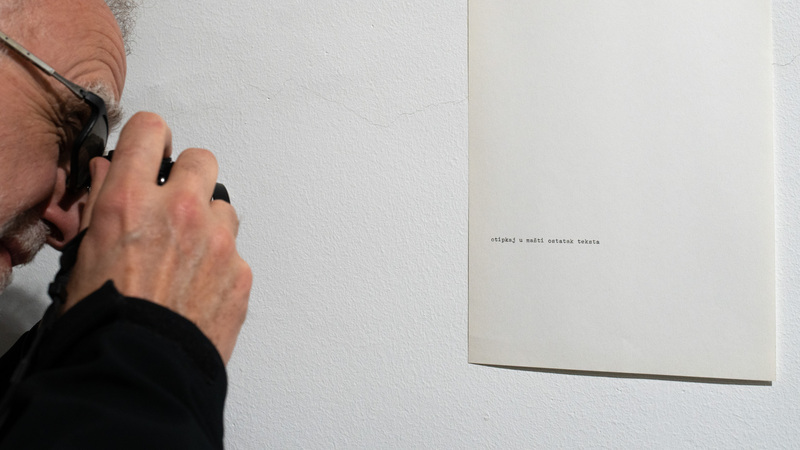 The exhibition is organized in the collaboration of Rijeka’s Museum of Modern and Contemporary Art and Slovene curator based in Rijeka, Tevž Logar, who is also the editor of Goran Trbuljak’s monograph published in 2018. 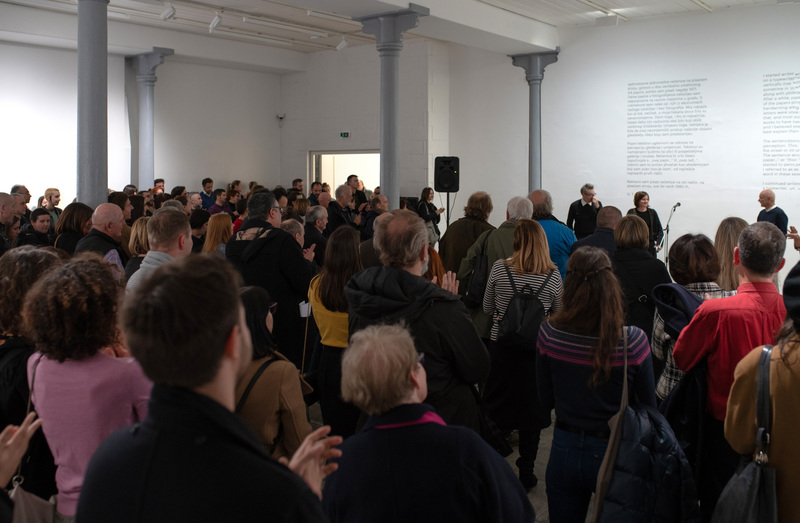 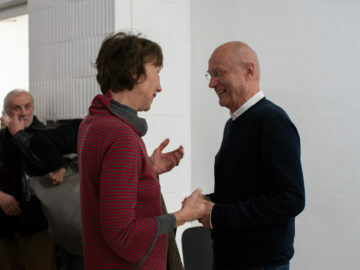 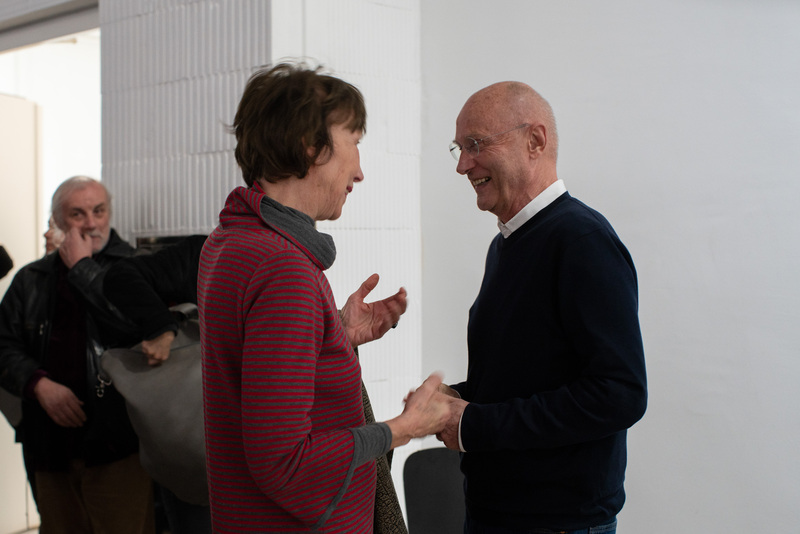 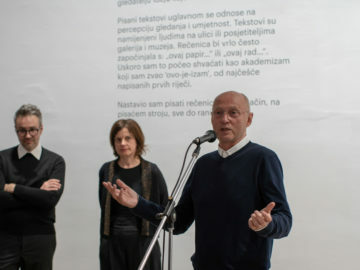 In his long career, Logar worked as an art director of Škuc Gallery in Ljubljana, a lecturer at the Ljubljana Academy of Visual Arts (AVA), an associate curator at Gregor Podnar Gallery in Berlin and a curator in Jasmina Cibic’s project for the Slovene pavilion at the 55th Venice Biennial. 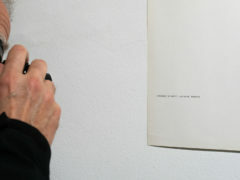 Logar is also a co-founder of Ulay Foundation in Amsterdam. 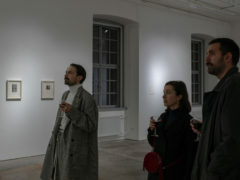 In 2014 he was nominated for ICI Independent Vision Curatorial Award in New York.